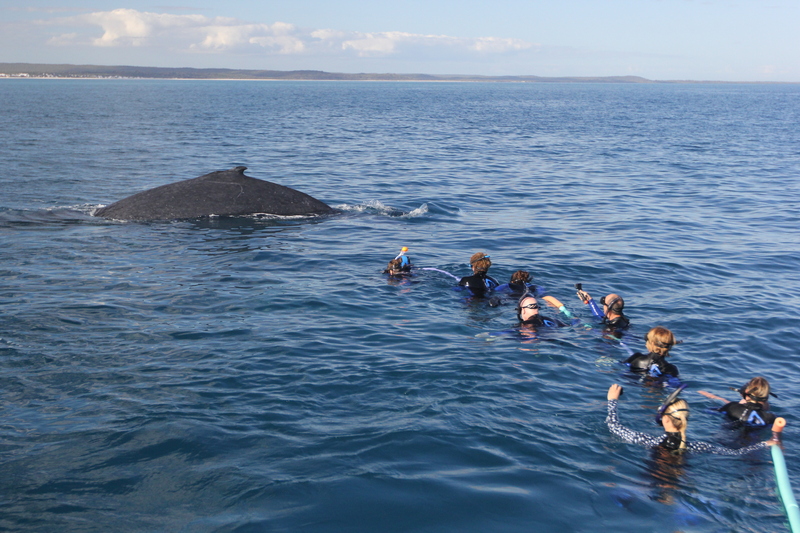 Swim-with-whales tours are becoming more and more popular around the world as travelers become increasingly interested in ecotourism and engagement with nature and wildlife. But, with more and more visitors jumping into the backyard of these vulnerable marine mammals, how can we keep track of the effects on their well being? We can’t manage an operation properly if we don’t understand its effects. So, are swim-with-whales operations ethical? It’s not an easy question. The challenge is that, as interest and demand for these activities grows exponentially, scientific research simply cannot keep up; it takes time, patience, and careful precision to collect reliable data. Yes, ecotourism is an alternative to the overuse of natural resources. It can also bring money into poor countries that are rich in biodiversity but have little else to offer in terms of world trade. These swim-with-humpback-whale operations are up and running in places such as Tonga, the Dominican Republic, Tahiti, Norway, Western Australia, and the Fraser Coast in Queensland, Australia. But as hard as the governments of these countries might work to ensure that the operations are ecologically viable, many projects are unaudited and not subject to stringent regulations. Pacific Whale Foundation is interested in finding out more about this tourist offering, specifically in Hervey Bay. In 2014, the Queensland government authorized commercial operators to begin immersive “swim-with-whales” tours with the vulnerable humpback whale, and we want to learn more. Photo taken August 3, 2018 from Pacific Whale Foundation’s Swim-With-Whales Impact Study. This humpback whale approached the passengers and swam around them a few times. Our research team has developed an impact study with three objectives: (1) to better understand if humpback whales change their behaviour due to in-water interactions with humans, (2) to identify factors which may influence behaviour change, and (3) to provide recommendations to governing authorities, resource managers, and tour operators to ensure that Hervey Bay’s humpback whales are not negatively impacted by swim-with-whales tourism. We believe that wherever possible, baseline research into natural behaviour patterns should be carried out before tourism activities are undertaken. This is also a very unique opportunity for the public to get involved with our research, as we allow a limited number of passengers to enter the water as part of our research. Are you interested in being in the water alongside a humpback whale, or learning more about the study? Please visit us here. We’re excited as we embark on this new adventure, which will have significant implications for humpback whales in Hervey Bay and around the world. Come and join us!